Tazewell Strategies is named for the street we’re located on in Arlington, Virginia. The street honors the famous political figures Henry Tazewell and his son, Littleton Waller Tazewell. Henry, reportedly the most popular Virginian of his day, was a member of the House of Burgesses. 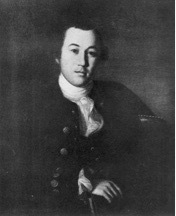 He raised a cavalry troop, was commissioned their captain in the Revolutionary War and subsequently helped establish the Commonwealth of Virginia. Both father and son were graduates of the College of William & Mary, became noted lawyers, served in the Virginia General Assembly, and were elected to the U.S. Senate, where they served as President pro tempore. 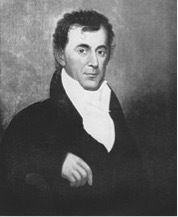 Littleton Waller Tazewell also was Governor of Virginia from 1834 until 1836. Why the linkage to the Tazewells? Tazewell Strategies carries forward the traditions exemplified by the Tazewells: focused preparation, personal involvement, support for governance, and dedication to those they serve. David E. Potts, Ph.D. is President of Tazewell Strategies. He was a founding director of Lockheed Martin International, formed to coordinate global business operations. As its first Staff Director, he helped establish headquarters facilities in Reston, Virginia and London, England. For nearly a decade, David led corporate customer relations best practices. He created and conducted the Customer Relations Institute at Lockheed’s Center for Leadership Excellence. David also directed the Doing Business Overseas Institute and facilitated the Strategic Thinking for Executives Program together with Carnegie Mellon University. Prior to his work with Lockheed Martin, David served in the U.S. Air Force, where he rose to the rank of colonel. He held a variety of operational and special duty assignments. At the Pentagon he was a representative to the National Disclosure Policy Committee and worked closely with the State Department on political-military issues. David had assignments to Germany and South Korea and served at two American Embassies – Moscow in the 1980s as an assistant air attaché and Prague in the 1990s as the defense attaché. In Prague he also headed the Security Assistance Office and was decorated by the Czech Minister of Defense for his contributions to the successful entry of the Czech Republic into NATO. David has a bachelor of fine arts degree in communications from Texas Christian University, a master of arts degree in public administration from the University of Northern Colorado, a master of arts degree in national security affairs from the Naval Postgraduate School, and a doctorate of philosophy in Russian studies from Georgetown University.